From right to left: Pete Snyder, Jim Sanders (standing), Pat Sanders, Kathy Dodge. Pete and Kathy have been doing this for many years. Their son Eric is the Hog Island Manager. 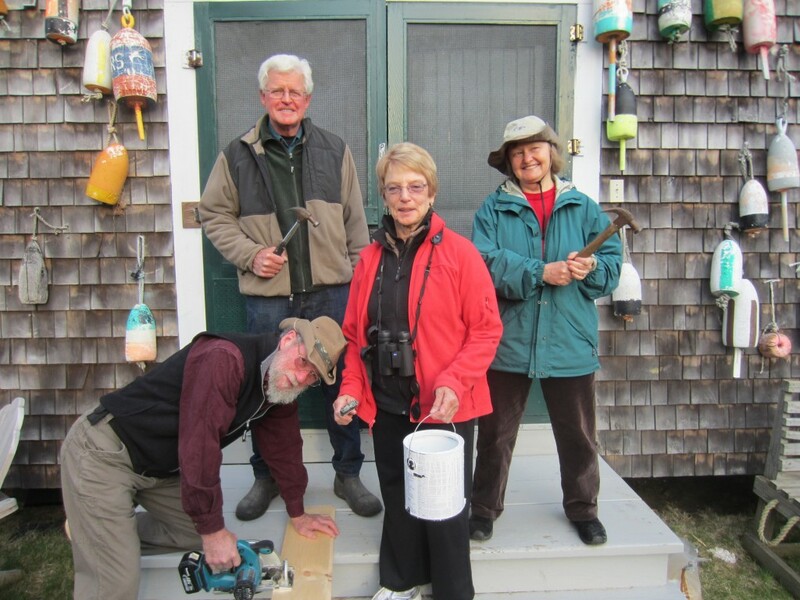 Four of our board members volunteered for a week or more earlier this month at Hog Island Audubon Camp in Maine, where they helped with various maintenance projects to help get the camp ready for the new camp season to begin. Work included upgrading current accommodations by adding bathroom facilities, window and framing improvements and painting. While they worked hard, they still made time for a little fun! Two local residents from Shohola, PA were awarded our camp scholarships for this summer and will attend the Family Camp at Hog Island, where they will participate in a variety of nature and environmental activities. Join Audubon Education Chair Kathy Dodge for a birding-by-boat outing at Promised Land State Park at 5:30 PM on Saturday, June 7th. The birds should be singing their hearts out at this time of year, and showing off their breeding plumage. Participants should provide their own canoes or kayaks and meet at the lower lake’s Bear Wallow parking lot. Binoculars are recommended. To register for this trip, call Promised Land at (570) 676-3428. 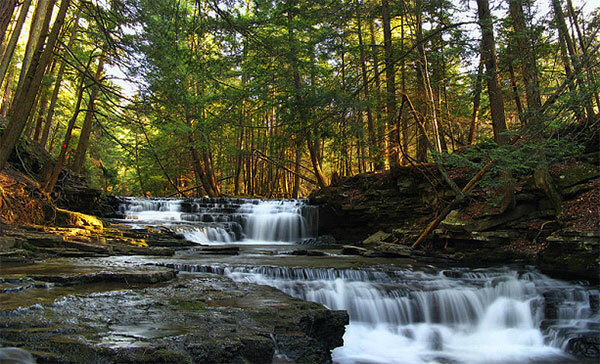 Join naturalist, Sue Thompson, for an interpretive hike along the easier trails of the little-known Salt Springs State Park near Montrose, PA (Susquehanna County). Hikers should meet at the Wayne County Visitor Center accessory parking lot on Commercial St. in Honesdale, PA at 8:00am for carpooling. Look for a “NEPAS” sign on a red Toyota pickup truck. Bring a lunch and wear hiking boots/shoes. Return time: late-afternoon. Registration is required: (570) 352-4997. Call if it looks like it might rain. This diverse 842-acre park we are going to visit offers more than 12 miles of trails along with country dirt roads available for hiking and biking. 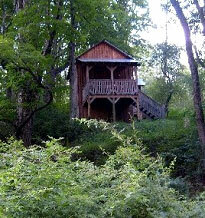 Eight campsites and three rustic cabins provide fairly secluded spots to get away from it all. Visitors can enjoy trout fishing in Fall Brook and Silver Creek which are stocked each year. One can see 300 year-old hemlock trees, a rocky gorge cut by Fall Brook, three waterfalls and lovely fern-lined trails along the creek. You will be able to visit The Wheaton House which is a renovated family homestead with offices, a gift shop and historical and environmental interpretive information. Displays at the home feature 19th century rural life and regional wildlife. It is open on weekends only. Historically, The Bureau of State Parks created Salt Springs State Park on a farmstead it purchased in 1973. However, the BSP was unable to stretch its limited funds to maintain or improve its newest, and one of its most rural, properties. With no security personnel, the park soon became unsafe, and without maintenance, the historic buildings deteriorated. When a local fire company expressed interest in burning down the buildings, the community, long unhappy at the dilapidated state of the entire park, became even more alarmed at the loss of this local landmark. A group of citizens, in partnership with the Susquehanna County Commissioners, approached the BSP one more time. They did not ask again for them to put money into Salt Springs. Rather, they asked for permission to raise the money and manage the park themselves. After months of negotiations, they got a “yes.” They formed the Friends of Salt Springs Park, Inc., in 1994 and will celebrate their 20th anniversary next year. The park offers several diverse programs throughout the year. Following our hike, one can stay for the evening star-gazing program which will start at 8 pm. Some upcoming events at this park are the Endless Mountains Farm Fest, featuring local agricultural-related businesses, on Saturday, May 31, the True Friends Animal Welfare Center’s annual Woofstock on Saturday, August 16 and the annual Salt Springs Celebration on Saturday, August 30. 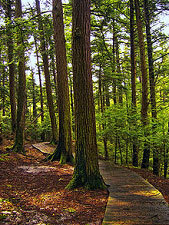 Check the website at www.friendsofsaltspringspark.org for environmental education and other programs offered throughout the Spring and Summer.